“Snapmaker 2” can be thought of as a completely new product. 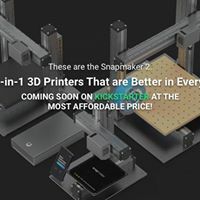 “Snapmaker 1” users are expecting to purchase additional parts, expand the work area of “Snapmaker 1”, and install new modules. I should have financed with thinking that at least I can expect it. Neither of the above is a difficult story. Check out the latest update on the first Kickstarter campaign. It includes a detailed article and machine in-action at CES 2019 video. Have you joined the Snapmaker - New Kickstarter Project Facebook Group to learn the new feature of Snapmaker 2? This week, the Filament Runout Recovery feature is announced. It’s a huge benefit when printing big objects! It’s a closed group. You can join it after answer a few questions. I am also curious if backers of the original Snapmaker will be able to purchase an upgrade kit? 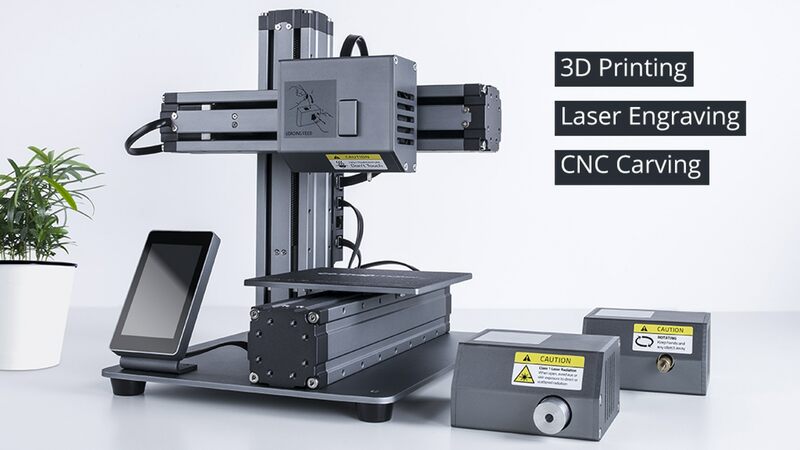 I have really liked the Snapmaker, my only 2 complainta being the bed size, and CNC setting up from Fusion360 being way more complicated and needing much more in depth instruction. Snapmaker 2 alleviates one of these issues, but I will be hard pressed to purchase the whole thing from skratch.